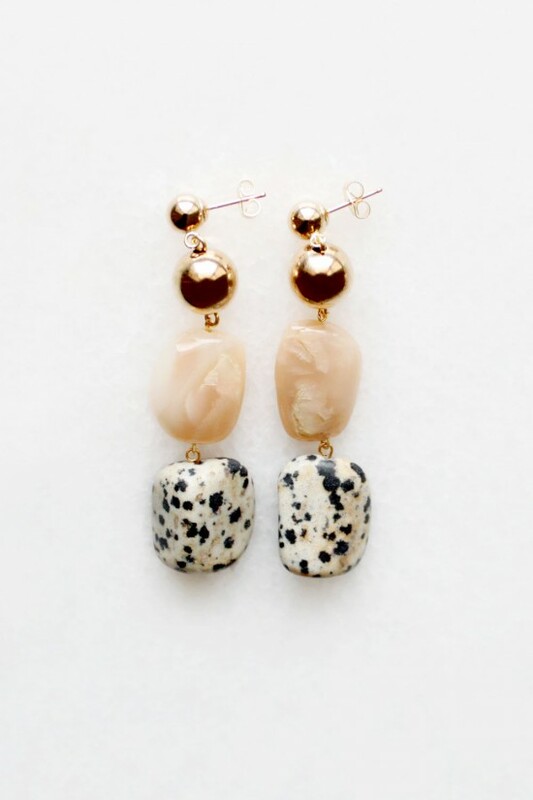 Tiered drop earrings featuring semi-precious dalmatian and moonstone. Finished with 14kt gold filled ear studs. Total drop length measures 50 mm. Each stone is unique and may vary slightly from those pictured.